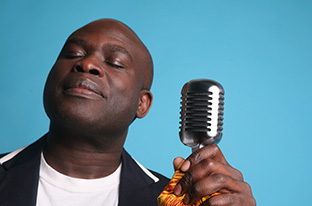 After selling over 200,000 albums, recording seven studio albums, selling out six headline concerts and performing on television amongst numerous other accomplishments; Muyiwa & Riversongz have announced that they will be bringing Eko Ile: The Concert to the 4500 capacity London venue, Transformation House on 28 October 2016. Scheduled as a must-see part of the Black History Month calendar, Eko Ile: The Concert will be a dynamic show that tells the story of Muyiwa’s journey from Lagos to London. Eko Ile which literally translates to “Lagos I love,” is a love letter to the two cities and cultures that helped shape his identity – Lagos and London. Eko Ile: The Concert will explore the parallels between the two cities and the forces that made him the man that he is. The concert will be both a musical and visual spectacle with Muyiwa taking centre stage in-front of a 10-piece band, choir, backing singers and an immersive set design. Muyiwa says: “Eko Ile is without a doubt the most personal and honest record that I have ever made. This is my story, warts and all. With the concert we want to take the record and bring it to life in a whole other way. We want to truly bring Lagos to London. “With this album and show on the 28 October we want to bring the whole of Africa out. We want to see every Nigerian, Ghanaian, Kenyan, Zimbabwean out to celebrate with us. Whichever country you are from you will be able to relate to this story” says Muyiwa. Eko Ile, the 2015 album release on which the show is based, is a hybrid record of world music, Afro-beat and Gospel influences that tell the universal story of a boy’s journey to manhood and the transition from Nigeria to Great Britain. The album incorporates a wealth of music styles from across the African continent including highlife music reminiscent of fellow countryman,Fela Kuti. Muyiwa's refreshing take on African praise and reggae features singing in his native Nigerian tongue, Yoruba, along with a peppering of Swahili, Zulu and Pidgin English. 70,000,000 people via his worldwide TV show, 'Turning Point' 2,000,000 via his radio broadcasts on Premier Radio and Premier Gospel 40,000 via social media. Eko Ile: The Concert coincides with Muyiwa’s return for the 3rd year running as a judge on the new series of the hit BBC1 show, Choir Of The Year. It caps off a busy 2016 that has seen him give a standout performance at this year ‘Gospel Proms’ at the Royal Albert Hall, become an ambassador for the Diana Awards, film videos in Canada, the US and Africa for the global series, “Turning Point International’, and launch and present the highly successful, ‘Premier Gospel Awards’.